July 12, 2K2 - Senshi Galaxy will close in 4 days. On Wednesday, July 16 Senshi Galaxy will close for an extreme up date. July 10, 2K2 - Senshi Galaxy will close for up to 1 week. Yup, I'm closing Senshi Galaxy for up to one week inorder to update. I have made the layout promised and I'm almost ready to publish. There will be a notice posted a week before then it will close down for the required time. I hope you all understand and are patient. I will work as hard as possible to get it back up in a timely fashion. July 10, 2K2 - Cartoon Network Retracts Sailor Moon - They did it again!!! Sailor Moon was taken off their list of programing, for how long is unknown. I have sent a protest to Cartoon Network on the way they handled this. I hope that it does some good. July 8, 2K2 - WE HAVE HAD OVER 10,000 VISTORS!!! I'm overly happy. I never thought that 10,000 was possible. I bearly broke 6,000 last year...now, just past a half year, Senshi Galaxy has broke the 10,000 mark! Thank you all for your support! I'm going to make a special celebration layout for this great news!!! 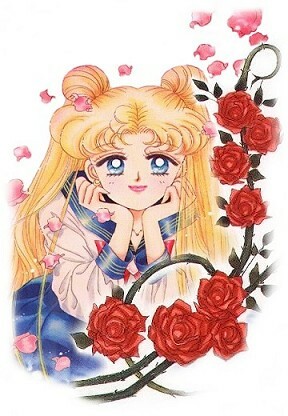 June 26, 2K2 - Cartoon Network has brought back Sailor Moon. That's right people, CN has done it. They've started from the beginning and are working their way up. It's on 3.5 Eastern/2.5 Central. Be sure to catch it if you can...or just set your VCR to record. June 14, 2K2 - Welcome to the Summer to Fall version of Senshi Galaxy! I'm excited about this year, this makes it 4 years running! I had to do two seasons in one layout term. Sorry. I have no time! >.<' This might become a permenent look to the site though. I am actually pleased with this version. I might up date the fonts and graphics but the general layout will stay the same. Also, the affiliates program I'm taking down. I got a lot of spam mail because of that so I'm taking my email off most of the pages. If I do recieve bad mail I will go and report that to your ISP. I don't want to have to do that and I'm sure you don't want me to so don't send stupid stuff, okay? So much for the news. Get to lookin! Disclaimer: Senshi Galaxy and BSSMG are owned by Lil J-chan ©1998/2002 Sailormoon is owned by Naoko Takeuchi, Toei, Kodansha and others. This site is purly for entertainment purposes only. All layout graphics have been made especially for this web site, please do not take them. Any coincidences with other sites is purely unintentional.